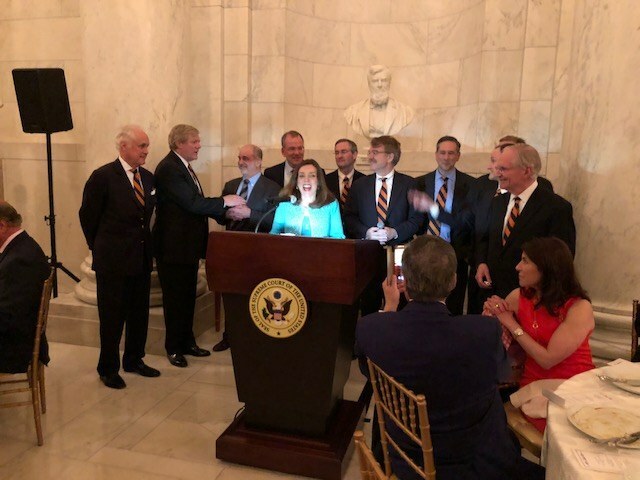 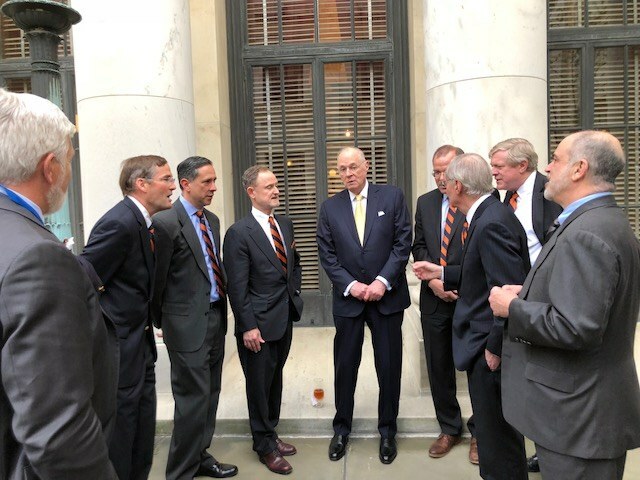 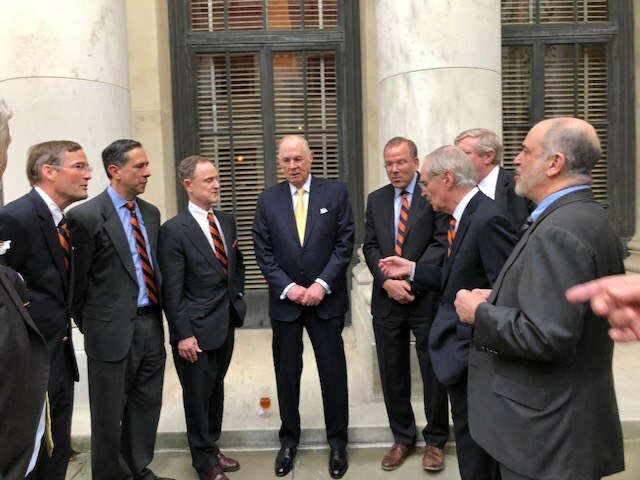 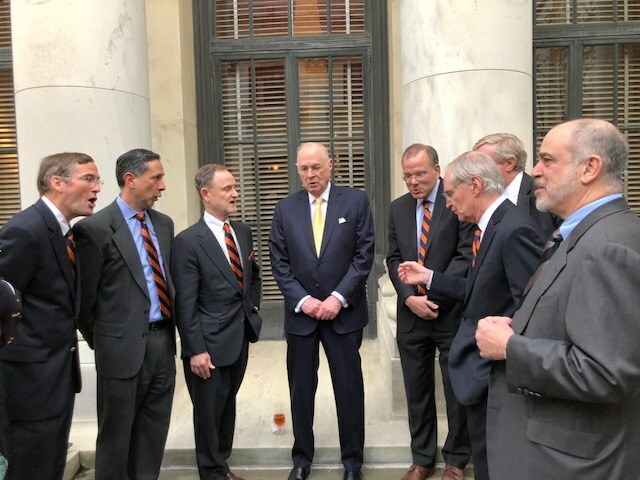 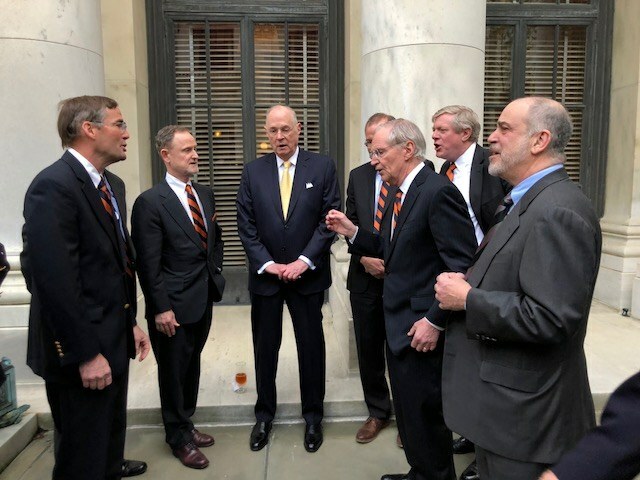 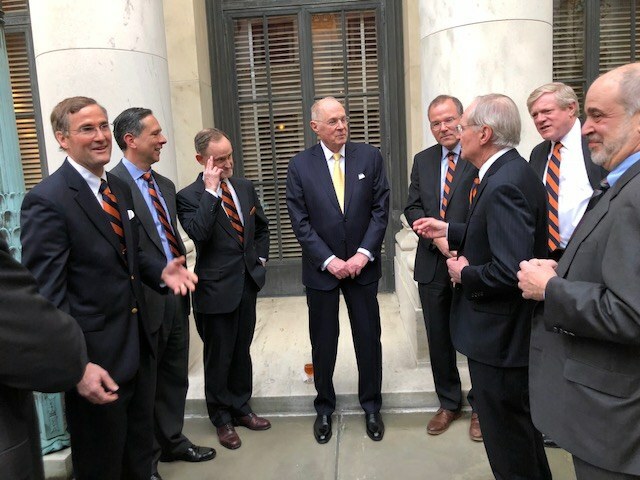 Before announcing his retirement this June, former Associate Supreme Court Justice Anthony Kennedy was the guest of honor at a dinner at the Supreme Court, sponsored by the ARCS foundation, which seeks to support STEM education via scholarships. 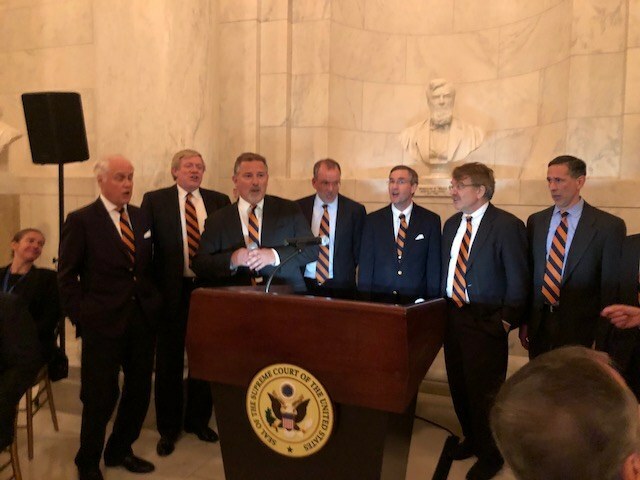 The Augmented 8 was the featured entertainment. 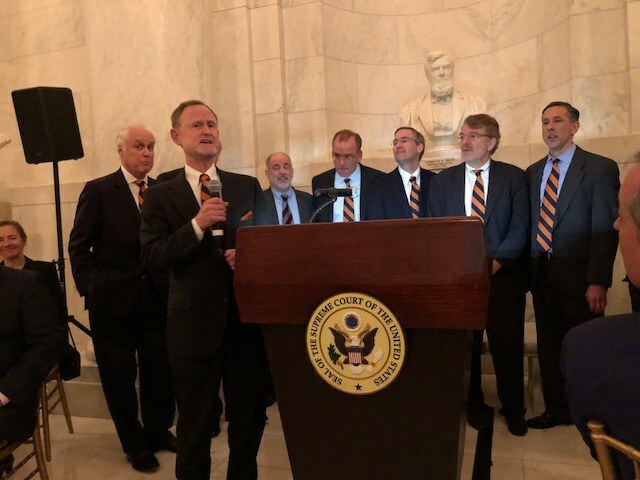 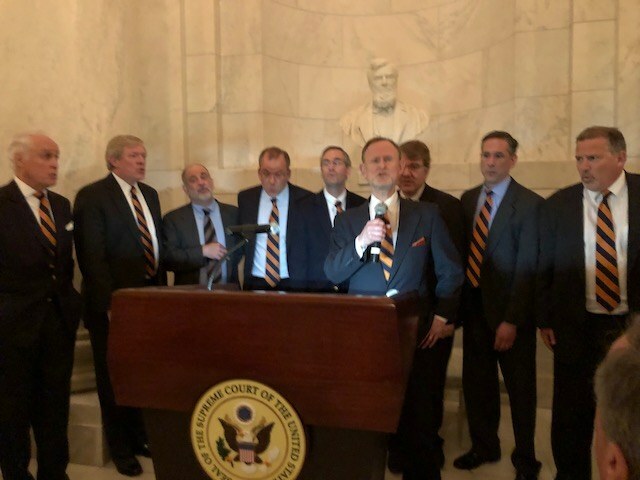 The Justice, who possesses a strong and sound baritone, joined us for a few songs including, at his request, an extemporaneous background to his solo on “The Sidewalks of New York.” Rumors that he was vetting his successor candidates via a singing contest proved to be unfounded.